What's fun, comfortable, and provides a bunch of health benefits to your child? If you thought there was no such thing that can have all three of these qualities, then let me introduce you to Dash Sensations' super fun Bean Bag Chair! A wonderful object and seat your child that allows your child to rest, play, and improve body posture! Boy or girl, younger or older, whoever you have running around your house - they are sure to find nothing but absolute fun with our Bean Bag! 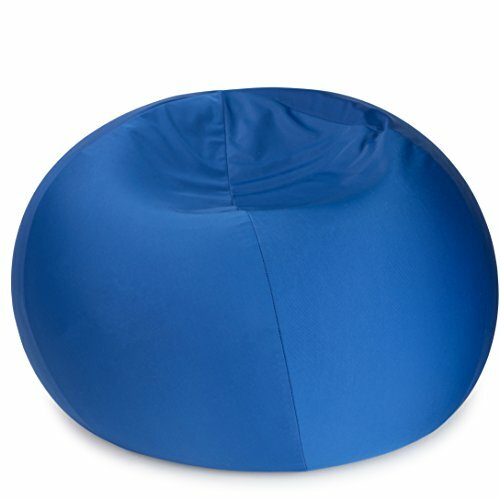 The anatomic nature of bean bags, where the shape of the bean bag is set by whoever is using them, provides a wonderful layer of fun for almost any use whether it's playing or relaxing. You know all those times you had to tell your son to stop running in the house? Well that's all going to be a thing of the past when you notice them immediately come home and lay on their new bean bag! Don't worry concerned parents! Our bean bag isn't like any other thing you can get your child because not only is it amazingly fun and incredibly comfortable but it is extremely supportive and improves your child's posture. As your child grows, body alignment becomes a very important aspect that cannot be ignored. Things you need to focus on as a parent is where your child rests, sits, and sleeps because they all make tremendous impacts. Our Bean Bags will introduce your child to great body positioning so they grow with great conscious and subconscious body awareness whenever they sit still or do any activity! PLAYFUL FURNITURE: Whether it's used in a reading corner, playroom or next to living room sofas, children will love having their own comfortable chair. Makes a great gift or prize. SENSORY & TACTILE: Not only a lounger or cuddle chair, this can be played with and used as a sensory toy, especially for children with anxiety or special needs who love to fidget. THE PERFECT REST AREA: The perfect size for your child to sit back and rest their bodies after a long day of school so they can rejuvenate their energy in a calm and playful area. LIGHTWEIGHT & DURABLE: The fabric covering the 1mm micro beads is tough enough to withstand any pounding your child can give it, but light enough to be easily moved around. MACHINE WASHABLE COVER: Fret not about any accidents your kid may have on their super fun bean bags - simply unzip the cover and easily get it cleaned in a washing machine. If you have any questions about this product by Dash Sensations, contact us by completing and submitting the form below. If you are looking for a specif part number, please include it with your message.